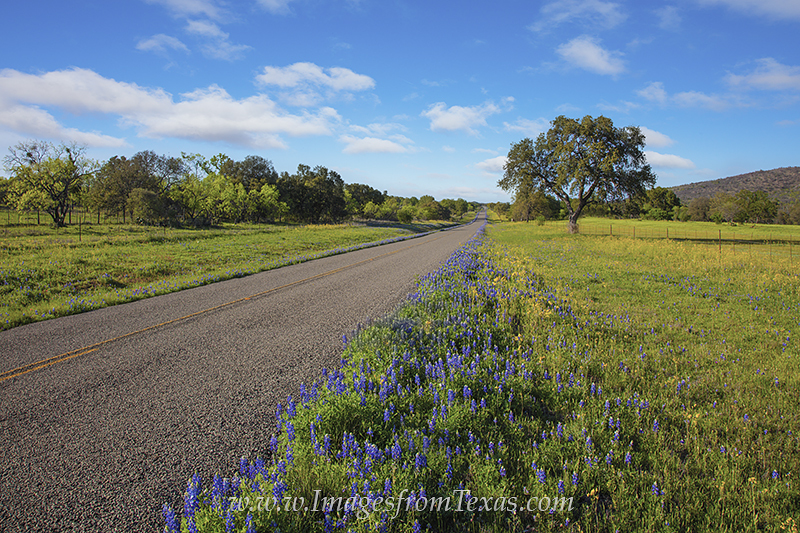 Along a small road just north of Llano, the fields have turned green and gold with a sprinling of bluebonnets after the early rains of spring. Soon, the Texas Hill Country will be splashed in a myriad of colors. Photo © copyright by Rob Greebon.